Wheat is one of the bases which Italian cuisine and culture are founded on. 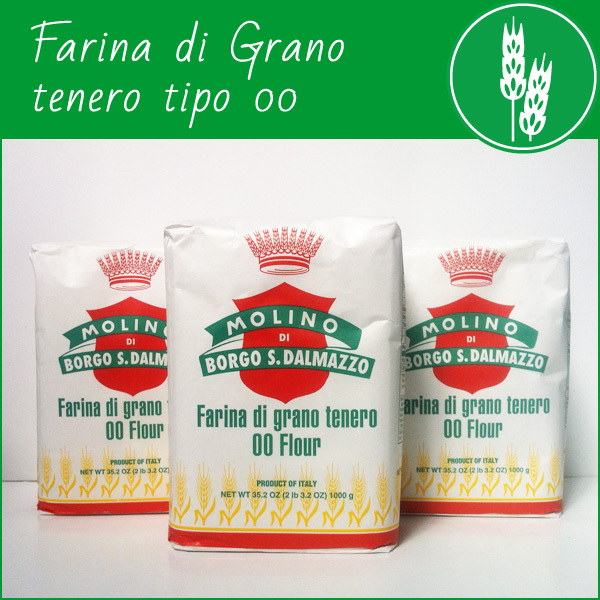 Molino di Borgo San Dalmazzo flours are the result of tradition and careful selection of raw materials. Our primary goal is to provide the best quality flours, perfectly suited for your preparations. Because your work, your passion and your recipes deserve the best. The “Verde” is a type 00 soft wheat multi-purpose flour, which can be used in a very versatile way. The rising times are contained, making this flour suitable for both: home-made preparations and professional usages who require a short rising time. Molino di Borgo San Dalmazzo’s “Verde” flour is the one to always have in the pantry! The “Napoli” is a blend of five different grains, including Manitoba, coming from North America. Not all the grains are the same and flours derived therefrom have very different characteristics from each other. That’s why Molino di Borgo San Dalmazzo has created this fine blend, mid-length rising time, perfect for cooking Italian pizza. The Napoli flour is a real pizza maker! By choosing our Organic products you choose natural food, grew without pesticides or chemical fertilizers. The conscious choice to make, to prefer organic farming without negative impacts on water, soil and air. 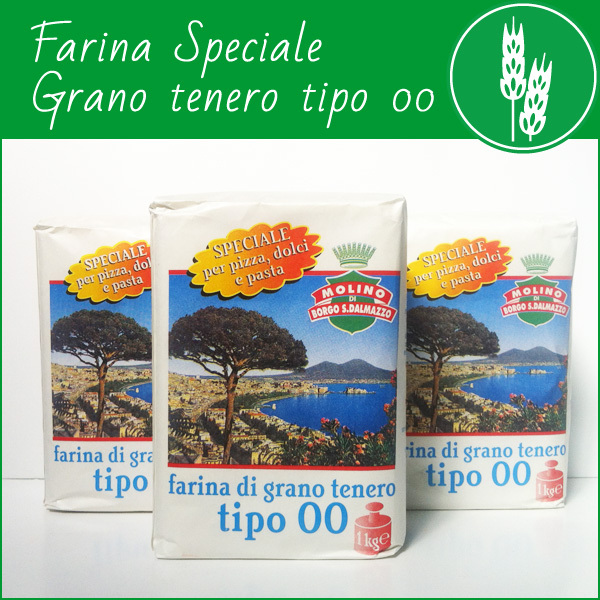 The type 0 Organic Wheat Flour is a multi-purpose blend of grains, finely milled and with an high extraction rate: about 80% of the grain is used. 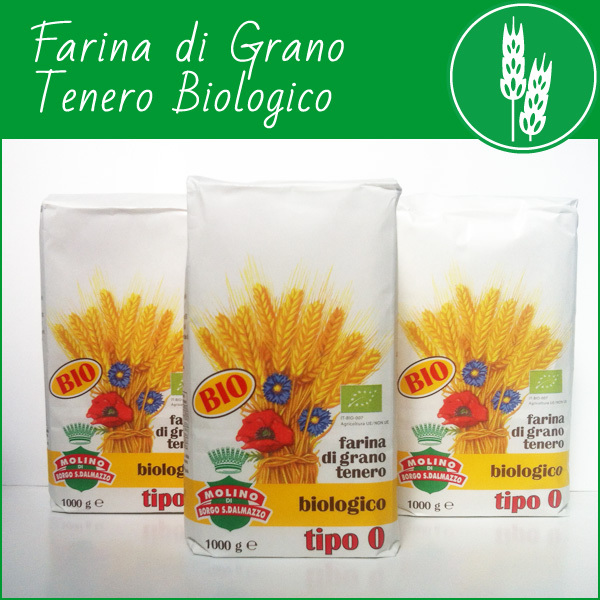 This flour takes birth from the milling of durum wheat and is very rich in protein and gluten. 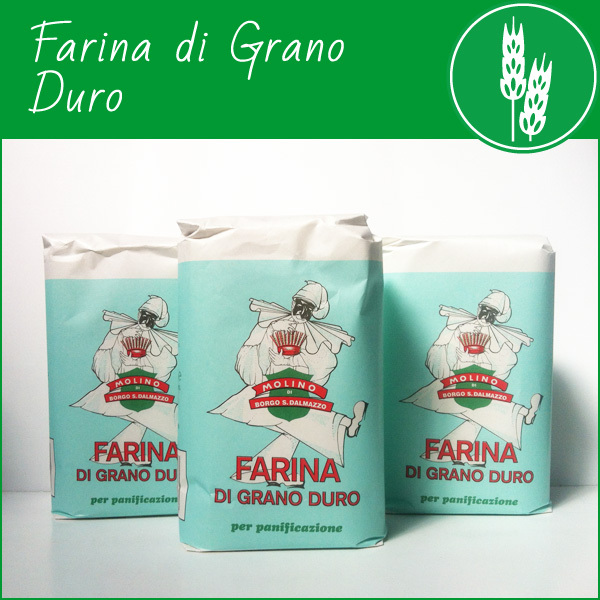 It is a blend of grains particularly suitable for the preparation of bread and pasta. The resulting products are characterized by a long life, a low glycemic index and a great presence of carotenoids.